Robert has lived most his life in and around St. Joseph, Mo. He has always loved detective mystery novels. 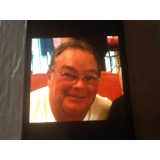 He retired Dec. 31, 2012 from Associated Wholesale Grocers. Hobbies are golf, oil painting that he learned from Bob Ross, and now writing. 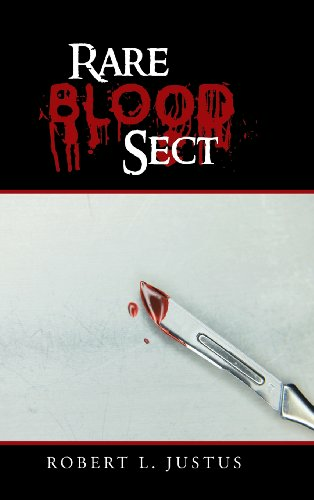 Just published his first novel Rare Blood Sect. Detective Robb Jensen and his team find's themselves battling with an onslaught of murders in the normally quiet town of St. Joseph and the surrounding towns in the area of Northwest Missouri. When a girl is found dead in the wooded area of one of the local parks Detective Jensen is assigned to the case. But he soon realizes that it is only the first in a series of brutal attacks, and they are all being committed by the same killers. When it's learned that there is a serial killer at large Jensen is joined by a couple CSI Agents, a Pathologist, a Detective out of Kansas City, the Chief of Police in Cameron Mo., and the Missouri Highway Patrol. They all work together as a team in an effort to tie clues from each victim to solve the case. When the case becomes a multi-state crime spree the FBI gets involved. A Special Agent is assigned to the team to assist. Now the murders are linked to the four state areas of Missouri, Iowa, Kansas, and Nebraska.